The Conservative leadership race has been a relative snoozer thus far. 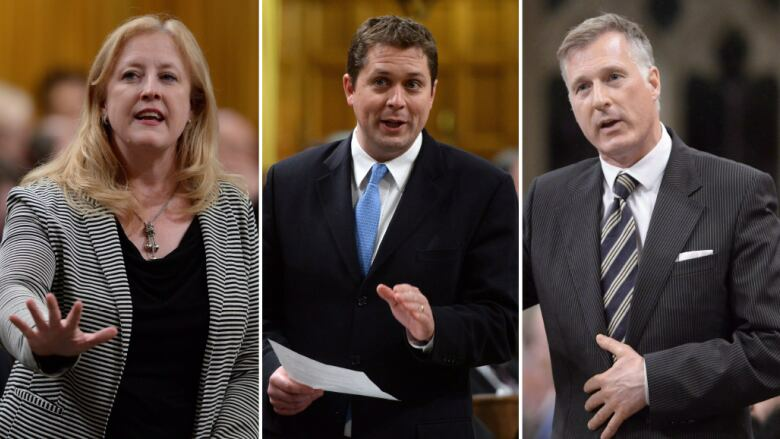 More than 10 candidates have entered the race so far, including, from left, Lisa Raitt, Andrew Scheer and Maxime Bernier, but none poses a threat to the Liberals' popular prime minister. I can only imagine the prime minister's delight upon hearing the news — wherever he is (Nassau? Is that still a secret?) 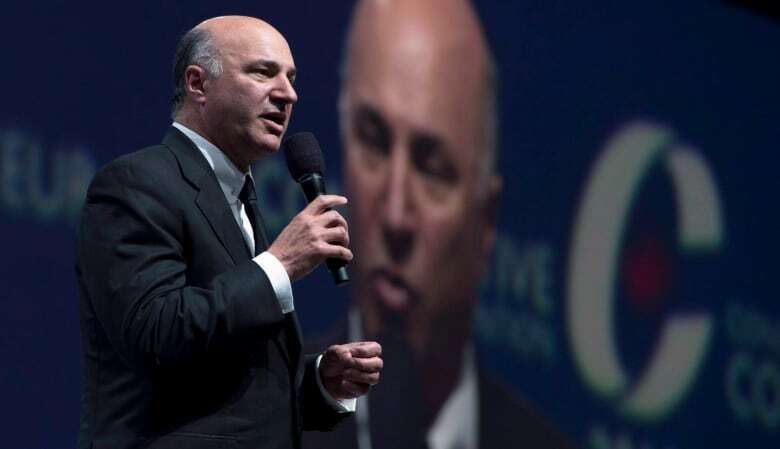 — that Conservative leadership candidate Lisa Raitt has launched a website attacking not-yet-leadership candidate Kevin O'Leary. 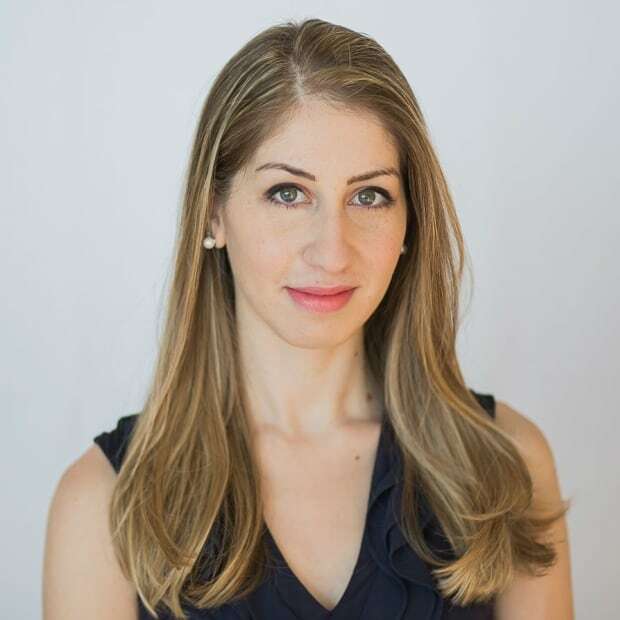 Raitt, who was pegged early on by Ottawa-types as a leadership front-runner, said she startedStopKevinOleary.com so that "people will understand what they're getting" with O'Leary as a candidate. The move came about a week after a spatula-wielding O'Leary promised to "scrape the crap" out of Ottawa — a slogan that is as gross-sounding as it is grievously unoriginal. For Prime Minister Justin Trudeau, not only are these vacuous gestures a welcome distraction from some of the issues he hoped to leave behind at the end of 2016 — his cash-for-access dinners, his pipeline quagmire, his government's handling of the electoral reform file, to name a few — but they also help to sustain the notion that not a single candidate among the Conservatives' cast of candidates poses a plausible challenge to his second term. Not yet, anyway. The prime minister's popularity remains remarkably strong even after a year in office (despite a drop near the end of 2016), with an approval rating hovering around 55 per cent. So far, his potential challengers from the Conservative corner include nearly a dozen names that 55 per cent of Canadians probably couldn't identify, as well as two (or likely two) cheaply produced Canadian versions of Trump, who are like the store-brand cola you only buy because it's on deep discount. Pundits have taken to reminding smug Canadians that a Trump-style upset could happen here — and that's certainly possible— but Trump had the good fortune of facing off against a deeply flawed, disliked candidate who was perceived as an extension of an eight-year regime, not against a well-liked single-term prime minister in a country with a nagging congeniality complex. Still, it's not beyond the realm of possibility that someone like Trump could pose a real challenge to Trudeau. But then, remember that "someone like Trump" tastes like budget caramel syrup and aspartame. For lesser-known candidates, attacking the de facto front-runner is an easy way to take over headlines for a couple hours, but it offers little by way of signing up new party members (which might very well be the winning ticket in this race, as it was in Ontario) and affords Trudeau the respite he needs to recover from his end-of-year vulnerabilities. The nature of a party leadership race necessitates a certain degree of infighting, of course, but it ultimately doesn't matter who lands the best jab against O'Leary or Michael Chong (info here, for those outside of Ottawa) or Maxime Bernier (info here, for non-libertarians outside of Quebec) if he or she can't demonstrate even the slightest potential of posing a challenge to the governing Liberals. So far, the Conservative leadership race has been a relative snoozer, with a handful of good ideas eclipsed by a lack of name recognition and charisma, and a number of bad ideas amplified by celebrity and savvy political strategy. Taken together, it looks like a promising start to 2017 for Trudeau. Take an extra few days in the sun, Mr. Prime Minister: the Conservatives are here, doing your work for you.